By definition, sociopaths are supposed to completely lack feelings, especially empathy toward others and a lack of remorse for things they have done even though they may have harmed others. Other feelings sociopaths lack are a normal conscience, and any sense of remorse, guilt, or shame for morally wrong behavior. Behavior-wise, sociopaths typically display antisocial behavior. Often, they lack an ability to conform to the normal dictates of society. They lack a conceptual understanding of morality. This anti-social behavior often manifests in hostility and aggressive actions toward others, in addition to high risk behaviors that others typically fear. Antisocial sociopaths often resort to drug or alcohol abuse, highly impulsive or irresponsible behaviors. Not really. Most sociopaths are highly functioning, very controlling, and very manipulative people who will fake emotions such as sadness or depression in order to achieve their desires. But sociopaths do not feel fear, excitement or real joy. And because they cannot feel happiness, they, likewise cannot feel depression. The question of "Can a sociopath be depressed?" is really not feasible, because though sociopaths can have some feelings, they are often just very limited, shallow ones that are motivated by self-gain. If their puppy dies, they feel nothing. Not only are sociopaths incapable of depression, they are incapable of recognizing sadness in others, making them not quite the friend to turn to when one has suffered a great loss. There is science behind the sociopath/anti-social individual's lack of feelings—and that is because of their biology. Their brains are simply not operating the way normal peoples' brains function. They do not process stimuli like normal people do. The reason the answer to "can sociopaths be depressed" is a firm no, is because even brain scans and images, such as MRIs show that the sociopathic brain doesn't register emotional words or pictures the way a "normal brain" does. 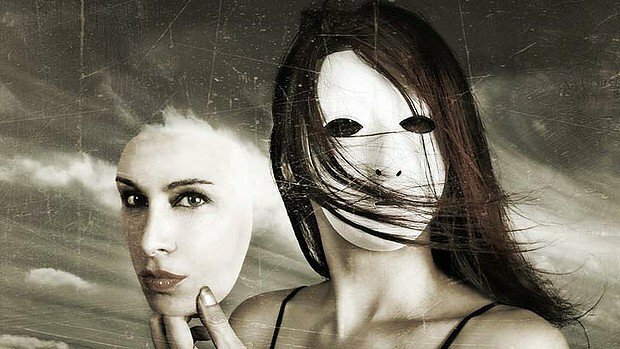 There are many misconceptions about what a sociopath really is. A sociopath does lack empathy. Often their minds are not wired in the same way others' are, so they are incapable of feeling love deeply. Love does reawaken something in sociopaths, but this is typically a fear of being controlled and a desire to control their love interest. What ends up happening with sociopaths is that they can want one person in their lives and even feel something very strong for them. They may even understand certain emotions and are often very curious about the way normal people "feel" things. For them, however, emotions are a watered down version of what other people feel. What we do know is that sociopaths are capable of feeling some degree of fear, anger, sadness, joy, disgust, trust, anticipation, and surprise. However, because they are only able to experience a fraction of what normal human beings feel, they miss out on a lot. While normal people feel a whole range of complex emotions happening simultaneously, a sociopath only has the most basic emotions. Basically, the true sociopath is a person who operates with a smaller set of emotions—they feel, perhaps, one fourth of the emotions normal humans feel. The question, can sociopaths be depressed, is interesting in this respect, because one would have to ask "how depressed?" as there are different degrees of depression (such as normal depression versus full fledged major depressive disorder). See, sociopaths cannot feel both the lesser and the extreme forms of emotions—especially with anger. For them, they don't feel mere annoyance or irritation and nor do they feel all-out rage. Likewise, they cannot feel extreme morose sadness; they just feel a little sad. A sociopath doesn't feel real grief, just sadness. Likewise, they can feel a watered down form of terror, a kind of fear. For them, love equals trust, which is not really an emotion at all – it's a quality of a relationship. You can have a somewhat loving relationship with them. If fact, sociopaths may feel they are loving others very deeply, but often this love is merely a form of their narcissism and need for control. Sociopaths are very controlling, and often it is difficult to maintain a relationship with them because they only want you in their lives if you are "behaving" according to their wants and needs. They may feel loss, especially when a relationship is beyond mending, but a true sociopath does not feel deep sadness or become depressed. If one asks, "Can sociopaths be depressed?" is kind of like asking if a sociopath can mourn a loss, and the answer to that is no. Sociopaths do not grieve like other human beings. The DSM IV is the ultimate authority on psychological and sociological disorders. In the DSM IV, a sociopath must have three of the following behaviors or more to be considered a sociopath. Most sociopaths, although they lack normal degrees of feelings, are highly charming and very intelligent. Therefore, they tend to easily pull others into their lives. They might even achieve success in their careers but usually this is through deceit, cunning, and immoral behaviors, such as embezzlement. Also, since they cannot learn from the past or plan for a future, their success is not typically long-lived. Why Do You Feel Sleepy All the Time?